This book by Messrs Voisin and Lecomte comes at the right moment. 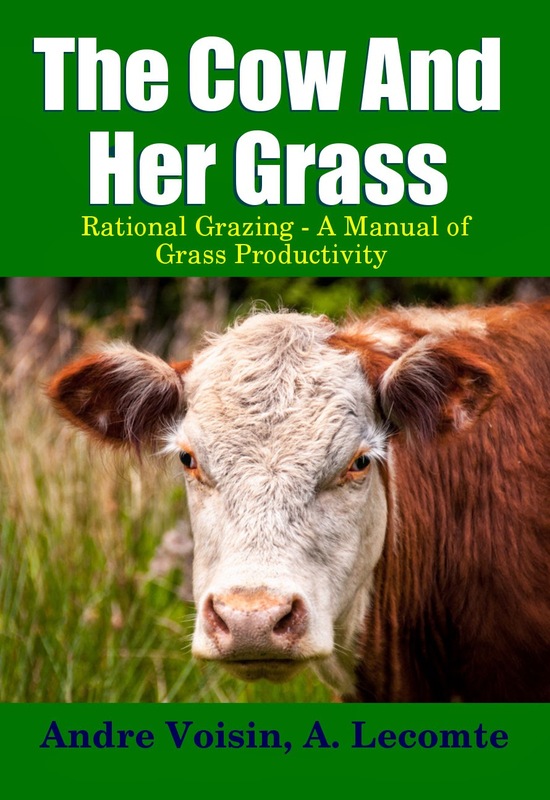 It is a synthesis of M. Voisin's important study, Grass Productivity. This manual presents the chief ideas of two specialists. Since they are also excellent practitioners, they have applied these ideas before recommending them. Their evocative picture of 'the meeting of cow and grass' poses the true problem of the management of grazed grass. For the farmer, the production of meat and milk is an act of industrial conversion. The 'machine' is the animal that converts raw vegetable matter into finished food products which are rich in calories and easy to assimilate. This 'machine' is complex because it is a living being; it can be improved--within limits. But its yield depends basically on the quality of the raw materials offered to it for conversion. Our farmers bring a jealously guarded care to the cultivation and harvesting of their cereals and commercial plants. Too often they rely on nature to develop their pastures and let their animals use their instinct to get the best harvest they can from them. M. Voisin, an experienced chemist and biologist, has applied foreign studies of grazing on his Norman farm for several years. He has removed the errors and, above all, has looked for a more specifically French application that could be adapted to our traditional farming practices. M. Lecomte, a Veterinary Surgeon, has studied the complex of forage feeding and its influence on yield and animal health, from observation of grassland management, even that of his clients. Messrs Voisin and Leconte have drawn on the fruits of their conversations and experience and, in this manual, have succeeded in producing a popular version of the fundamental ideas of their studies. I hope that their words will be heard and followed.